If you or someone you know has a stroke, faster care can mean a better outcome. That is why we have partnered with Providence Brain and Spine Institute to bring the most advanced stroke care to Curry General Hospital in Gold Beach with on-demand remote consultation with expert neurologists. 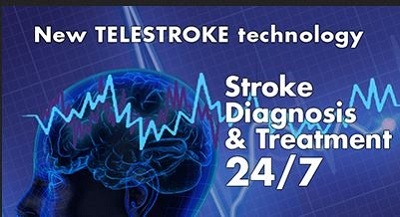 Telestroke provides access to some of the region's top stroke specialists 24 hours a day. 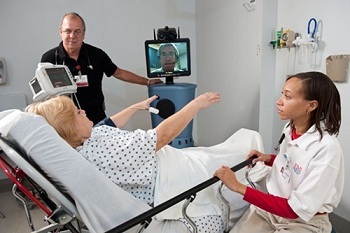 Through a secure two-way video system, Stroke Center's neurologists can be "in the room" with the patient, the patient's family and our local physicians, helping to determine the best treatment. This means patients can receive the most effective treatments right here in your community, near family and friends. Stroke neurologists can review patient records and diagnostic results, perform a full examination and help determine the best course of treatment, and admission or transfer if necessary. They are committed to keeping care local whenever appropriate and can provide follow-up consultations, which includes acute rehabilitation experts.